The FDA got a vote of confidence from the Trump administration when it recommended increasing its budget in February – and yesterday its leader Scott Gottlieb explained to Congress some of the initiatives the money will be spent on. Congress must approve the budget request, and yesterday Gottlieb appeared before the US House subcommittee on agriculture and rural development. Overall, the budget requests $5.8 billion in total resources for FDA, including an increase of $663 million or 13% above the FY 2018 Annualized Continuing Resolution. This is made up an increase of $473 million in federal funding, plus $190 million from industry user fees. Its chairman, Rep. Robert Aderholt (R-Ala.) recently remarked that the FDA budget request was “likely to be the boldest and largest funding request in recent memory, and maybe ever” and that the agency would have to demonstrate that the money would be well spent. Appearing before the committee, Gottlieb said 2017 had seen the FDA approve a record number of generic drugs, novel medicines and medical devices. However he warned the agency was “losing sight of our commitment to the public health basics” including efforts to reduce smoking rates reducing and to support healthier diets in order to prevent chronic diseases. On top of addressing these public health goals, Gottlieb has taken on many other missions, including promoting US-based drug and biologics manufacturing, advancing real world evidence and digital health tech. One of the biggest challenges is of course the goal of bringing the nation’s opioid epidemic under control. 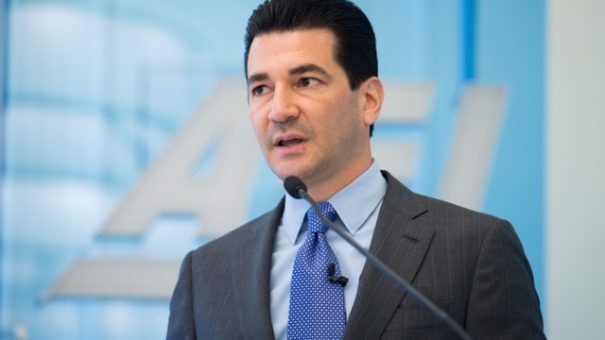 But Gottlieb’s remarks on establishing greater transparency in FDA decision-making on new drug approvals, and creating new ‘pathways’ for rare disease were probably the most eyecatching for the pharma industry. While recent years have seen the FDA make its decision-making incrementally more transparent, Gottlieb acknowledged more could be done. To address this, Gottlieb says the FDA needs to establish a ‘knowledge management system’ to record in detail how its decisions are reached. This will allow FDA staff to cross-reference decisions and scientific precedents established, but also hold up decision-making to scrutiny. “Right now, if you asked me how we made a particular review decision in the past, I’d begin by asking our review staff if they’ve confronted a similar clinical circumstance, how it was decided and why,” Gottlieb told the Congressional committee. He said the FDA currently has limited options to query review decisions in order to understand how certain conclusions were reached. 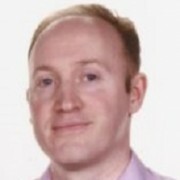 “This sort of knowledge management system is essential to how we’re modernising medical product review programmes and establish scientific precedents established every day,” he added. The aim is for this process to feed into the creation of more objective policy documents to help advance drug development. The FDA has already begun work on laying out what Gottlieb calls “modern criteria” for drug development, and selected a few therapy areas to spearhead the move: ulcerative colitis; rare pediatric cancers; paediatric HIV; and serious, life-threatening and non-cancer blood disorders such as aplastic anaemia. “There’s a common theme here. One aim is to focus more guidance on laying out the pathway for developing drugs targeted to less common and serious conditions where there’s a lack of available therapy and drug development pathways can be more challenging,” commented the FDA Commissioner. The FDA is expected to shortly publish guidance describing the evidence needed to demonstrate the effectiveness of new drugs intended for certain slowly progressive, low prevalence rare diseases. Quite how far the FDA can and will go in making its decision-making more transparent is yet to be seen. For its part, pharma may be glad of greater clarity around why some drugs have been rejected – but will also fear that FDA documents made public could yield up commercially sensitive data. Last year Gottlieb stated his goal of wanting to publish Complete Response Letters (CRLs) issued to companies when their drugs have been rejected, with the commercially confidential data redacted. However, more recently he has appeared to backtrack somewhat on this goal, promising only to publish extracts from CRLs, and only when it is beneficial to public health concerns. This week also saw eyebrows raised when the FDA changed its mind on Alkermes’ depression drug ALK-5461, just weeks after having refused to accept its filing. This has raised fears among some observers that the FDA is lowering its standards for new drugs, with signs that Europe’s EMA is taking a consistently more conservative approach to drugs with questionable safety and or efficacy data.